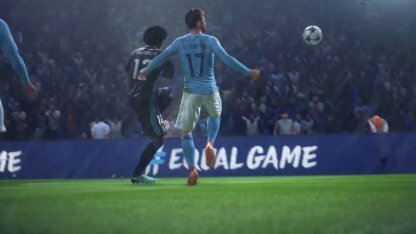 Here is everything you need to know about the basics of FIFA 19: offense, defense, passing, & set pieces. 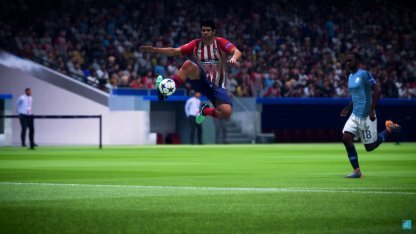 Practice in game modes like Skill Challenges and Kick Off, & eventually play against other players online in FIFA Ultimate Team. You will be able to move around using the Left Stick. You can also execute dribble moves by using the Right Stick. Sprinting is a very useful mechanic in the game. It allows you to speed up your player to get to a loose ball, dribble faster, and more. All you need to do is hold down R2 or RT! Even though sprinting is useful, try not to sprint all the time as this will eat up your player's energy! Sprint only when it is absolutely necessary! Passing the ball is one of the main ways to move the ball around the field. One player holding the ball for too long may allow opponents to close in on you and steal the ball! Don't be greedy and share the ball! The Teammate Run will make one of your teammates run towards the goal. This can be done by R1 / RB. Use the Teammate Run to set up teammates for through ball passes! Driven Ground Pass A fast pass that covers lots of ground. "X" / "A" + R1 / RB Use to pass to further away teammates. Cross A lob pass to a teammate near the goal from the side of the pitch. "Square" / "X" Use to set up teammates for goals. Through Ball Pass A lead pass for a teammate that is running towards the goal. "Triangle" / "Y" Use to set up your teammate for a goal. Lobbed Through Pass A short lob pass that covers a shorter distance. L1 + "Square" / LB + "X" Use to pass to a teammate running towards the goal. 1-2 Pass A pass that will make the passer run toward the goal. L1 + "X" / LB + "A" Use to set up your teammate for a through pass. There is no cookie-cutter way of scoring a goal. Learn the different type of shots that can help you edge out the competition! Pressing the "shoot" button for a second time will either improve or make your shot worse! After pressing "shoot", press the "shoot" button again when the gauge is just at the center to improve your shot! Chip Shot A shot that slowly arcs above the defender. "Shoot" button + L1 / LB Use on one-on-one situations when the keeper is close in front of you. Low Shot A shot that will not go airborne. Double tap "Shoot" button Use to make sure that the shot will not fly above the goal. Header / Volley A goal attempt from mid-air. 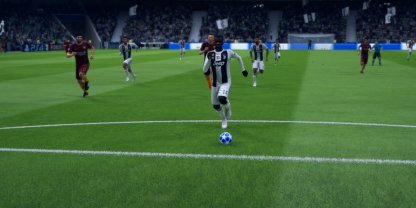 "Shoot" button Use when a ball is crossed to your player. Having a good sense of defense will prevent your enemy from turning their possessions into goals! Here are the basic ways to defend your goal against opponents! Remember to not be overly aggressive when defending. 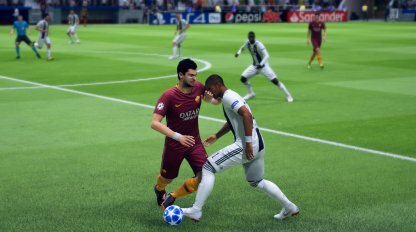 Ill-timed tackles could lead to yellow or red cards, and may give the opponent a chance to score! Sliding Tackle A dangerous sliding attempt to steal the ball from the opponent. Can cause yellow or red cards if done wrong. "Square" / "X" Use to attempt to steal the ball from the opponent. Jockey A stance that makes you face your opponent. This will allow for easier opportunities to tackle. R2 / RT Use to defend when the opponent is close to your goal. Set Pieces are moments in Football that brings the ball back into play following a stoppage. Here are some Set Pieces that are included in the game. 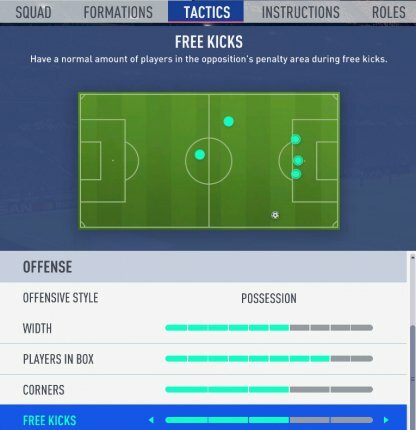 Free Kicks happen when gameplay is resumed at the point where the ball was when the game was stopped. You can either pass to a teammate or shoot the ball into the goal if you are near enough! Pass "X" / "A" Pass to a teammate when the free kick is far from the goal. Shoot "O" / "B" Use to attempt a goal in a free kick. Finesse Shot R1 + "O"/ RB + "B" Use to curve the ball around opponents into the goal. Corner Kicks happen when the ball goes out of bounds behind the opponent's keeper and you retain possession. You can choose to pass to a nearby player, or risk a cross for a goal. Pass "X" / "A" Pass to a teammate to reset your offensive strategy. Cross "Square"/ "X" Use to set up a teammate for a goal from a corner kick. 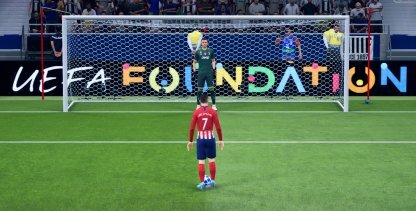 Penalties rewards you with a free shot at the opponent's goal. This puts one of your players against the opponents keeper. Plan your shots carefully to convert this into a goal! 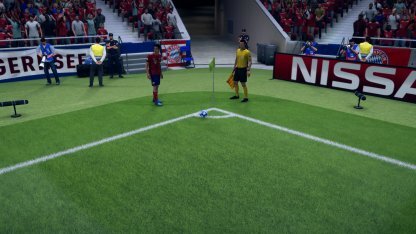 Adjust Player Position Right Stick Use to change where your player is when attempting a penalty kick. Aim Left Stick Use to aim where you want your shot to go in the penalty kick. Shoot "O" / "B" Use to shoot the ball in penalty kicks. The Goalkeeper is the last line of defense before the opponent will be able to score a goal. 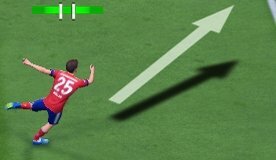 You will be able to switch to the goalkeeper by pressing the "Track Pad" or "Back" button. 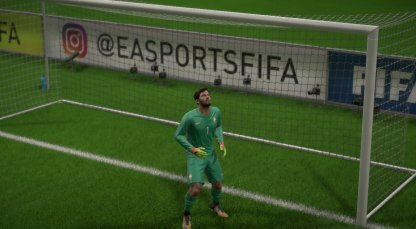 Switch To Goalkeeper "Trackpad"/ "Back" button Use when you want to manually defend the ball. Drop Kick "O or Square" / "B or X" Use to clear the ball from your area. Throw Pass "X" / "A" Throw the ball to a nearby teammate. Charge "Triangle" / "Y" when defending Win possession of a loose ball and quickly pass to a teammate. Move L Stick + Direction Horizontal Move to dictate your position before the ball kicked. Dive L Stick + Direction Diving to Direction when the ball is kicked. Maintaining constant ball movement will work in your favor since it will make it harder for the enemy to steal the ball from you. Keep on moving the ball, and eventually opportunities for a goal will show themselves to you! If you find yourself trapped in a situation where you don't know where to go, just pass the ball to another teammate. It doesn't matter who receives it as long as the enemy will not gain possession! Sprinting will shift your player's momentum into the direction they are facing. It will lessen the control you have over the ball and at the same time, over the player. Only sprint when you have enough space in front of you. Having the ball most of the time will allow you to dictate the flow of the match! You will be able to set the pace, direct your opponent's movements and more. Make ball possession one of your top priorities during a match! Rushing towards the goal will make you face lots of defenders even before you can get close to the keeper! Take time to set up your offense before mounting an attack! 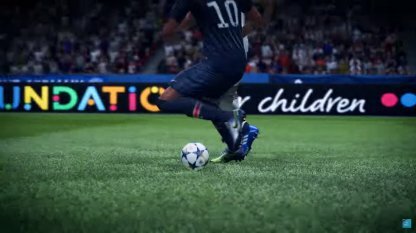 Blindly tackling most of the time will leave your players immobile for a few moments, this gives the opponent enough time to leave you behind and create space! Only tackle when you are absolutely sure, you can get the ball! 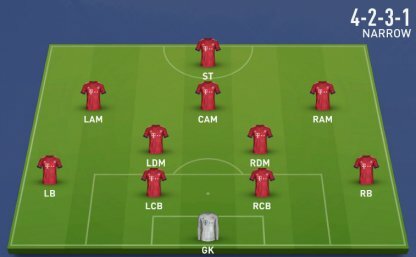 Getting to know one of your favorite teams is also a great way of learning how to play FIFA. These teams will teach you a thing or two about deeper mechanics in the game. 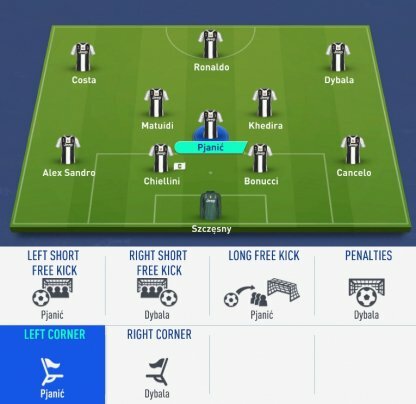 A team's formation will tell you their main play style during the match. Getting to know a few of these formations may let you recognize similar formations and predict strategies! A team must work together to win against their opponents. To make the most out of your team, learn their roles and adjust your play style when controlling those players! The tactics of a team will dictate how their players move around the field. 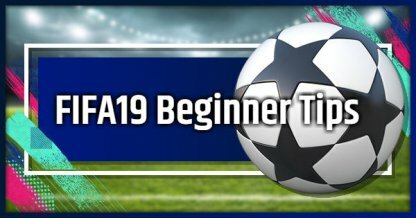 Each player will have different priorities according to your tactic such as ball possession, constant pressure, long ball and more. Skill Games are mini-games that you can play to improve your skills on a certain aspect of the game. Here, you can practice your shooting, dribbling, passing, defense, and more! 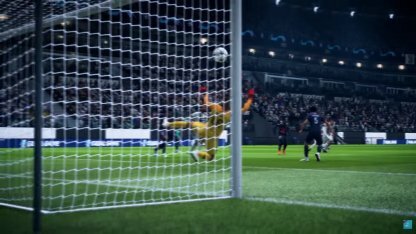 Practice your game in different situations in FIFA 19's new Kick Off Mode! Here you can choose different scenarios that changes some of the game's rules and see how you can adapt! Test out your skills against AI controlled opponents in a classic matche. Here you can set the difficulty to suit your skill level and raise the difficulty once you're comfortable! 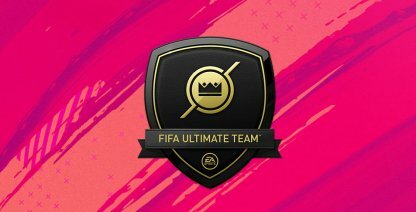 Once you are ready, you can try facing-off against other players around the world in FIFA Ultimate Team! This game mode will let you build a team from scratch and play against other players of FUT!